Aluminum-clad twin. Acer's affordable all-round device of the Aspire E1 product line (e.g. E1-572G) convinced us with its good performance-for-money ratio. Now we have the aluminum-reinforced V5-561G model on our desk. It stands out with a bright Full HD screen and a gaming-suitable GPU from AMD. Acer has recently been making a mark in the all-rounder for best value device segment. With the release of the Acer Aspire V5-561G, an aluminium chassis laptop with gaming GPU, they have now decided to take a step into the higher market price range. At first glance, the new laptop resembles Acer’s Aspire E1 line. This is actually true for most parts apart from the upgraded chassis and minor specification changes. The Windows 8.1 laptop comes with an Intel Core i7-4500U 1.80 GHz dual-core processor, 8 GB DDR3L SDRAM with a maximum of 16 GB supported, 1 TB hard drive and AMD Radeon R7 M265 graphics processor with 2 GB DDR3 dedicated RAM. 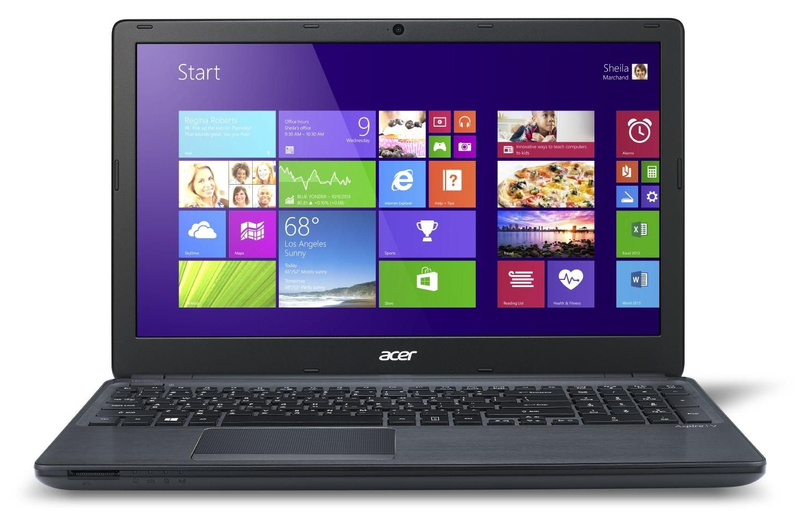 The Acer Aspire V5-561G features a 15.6” Active Matrix TFT color HD LCD (1366 X 768 pixel resolution) display. It delivers good colors and more than satisfactory clarity. Other hardware includes 2 USB 2.0 and 1 USB 3.0 ports, HDMI, VGA, microphone and webcam. The battery is a 4-cell Lithium Ion 2500 mAh cell, which can last up to 4 hours according to Acer. The Acer Aspire V5-561G weighs in at 2.35 kg (5.18 lb) and it will attract buyers looking for best value but with added elegance.